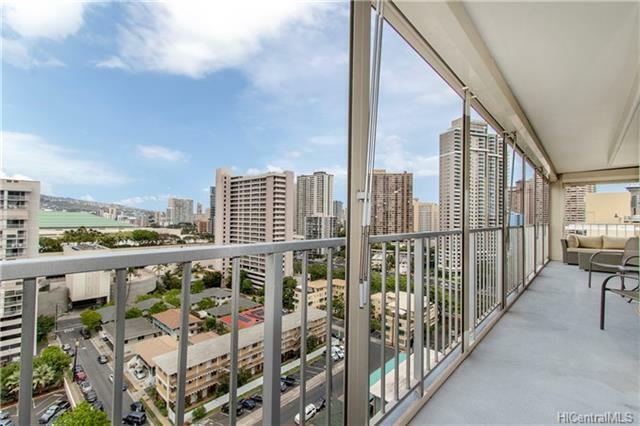 Boasting a convenient & vibrant location, Sunset Towers is right across the street from Ala Moana Shopping Center & a short walk from Ala Moana Beach Park & Magic Island. 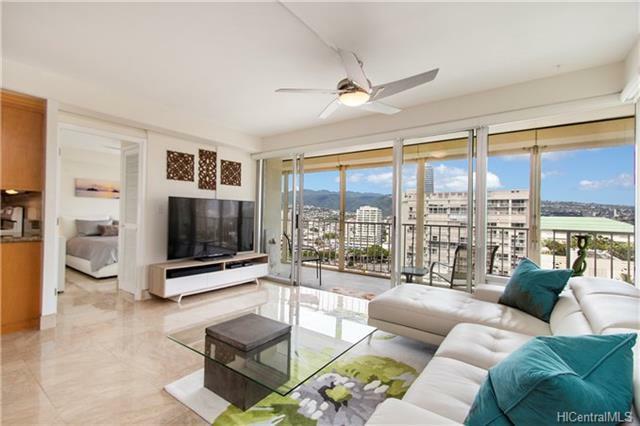 Youll fall in love with this bright & breezy corner unit in mint condition. 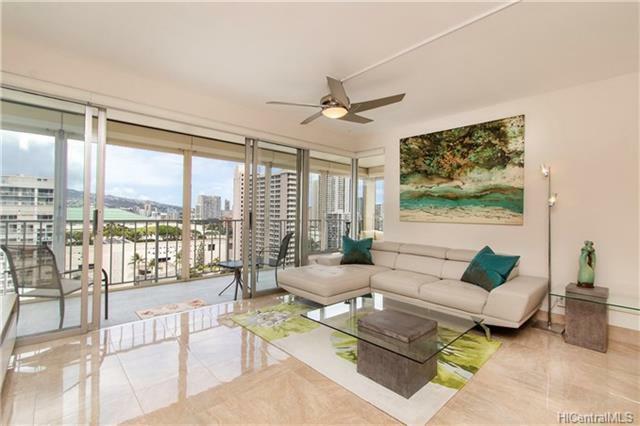 Pet friendly & beautifully remodeled from top to bottom featuring magnificent porcelain flooring, granite counters, custom black out blinds & a super big lanai with roll up shutters. It will be hard to find better value, especially since the building has recently completed a 4 million dollar capital improvement project including pipe replacement, roof, spalling repair & painting. Please view the walk through video attached.